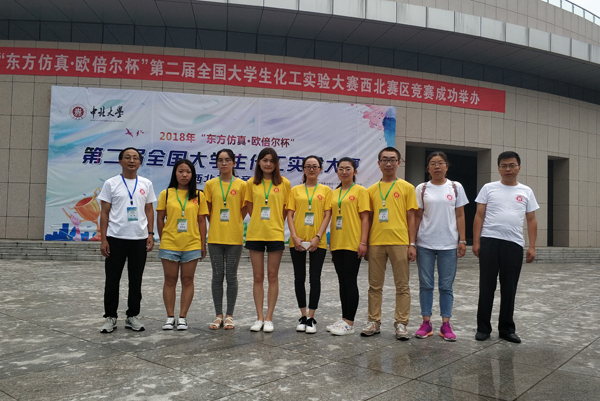 The Northwest Zone of the “Oriental Simulation－Oubeier Cup” Second National College Students Chemical Experiment Competition was held during July 15 to 17 in North University of China, and teams from Department of Applied Chemistry, YCU King and Stars Dream both won second prize. The competition was hosted by College Specialty of Chemistry Engineering Teaching Guiding Committee and China Chemistry Education Association. The aim of the competition is to improve the teaching quality of the core courses in university and students’ comprehensive quality and ability. 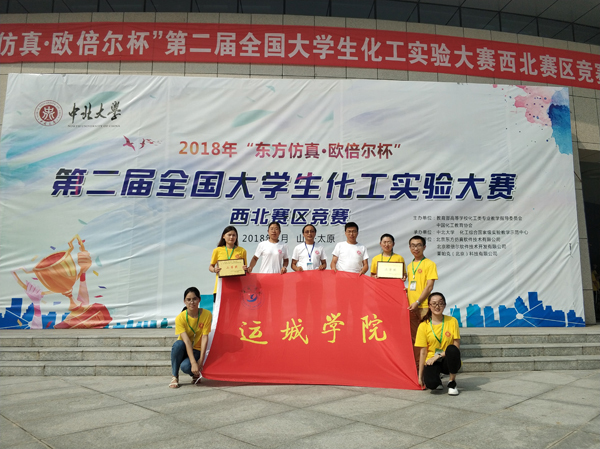 The competition content was based on the National Standard of Teaching Quality of Chemistry Specialty in University, including theory test, 3D Simulation Unit Operation of Chemical Engineering and experiment of Principles of Chemical Engineering. The competition zone attracted 153 contestants of 51 teams from 6 provinces, including those from Northwest University, Lanzhou University, Shihezi University, Taiyuan University of Technology, North University of China, Ningxia University, Chang’an University, Xi’an University of Science and Technology, etc. The Department of Applied Chemistry centred the cultivation on the students comprehensive ability, encouraging students to participate in various competitions to improve their professional skills and thus to shape a excellent teaching and learning atmosphere. These contestants Du Yajing, Peng Le, Guo Aiai, Zhou Junli, Jiang Liru and Liu Wanmei of Class 2015 stood out from a series selections since April, 2018, and they participated in the competition as a representative of YCU. The students worked hard in their free time on the preparation for the competition with meticulous instruction from teachers Sun Hong, Wang Weibing, Jing Xiaoxia, Jiang Hongshi and others. Through competition and exchange with students from high-level universities, their theoretical knowledge and practical ability were improve, and the prizes they won brings a good reputation for YCU.